Netflix is partnering with Michael Bay, Ryan Reynolds, and Skydance Media, on Six Underground, an action thriller that Michael Bay will direct and Ryan Reynolds will star in. The film will be somewhere in the $150 million range and will be Netflix's largest production to date. It is expected to begin production this summer for a 2019 release. 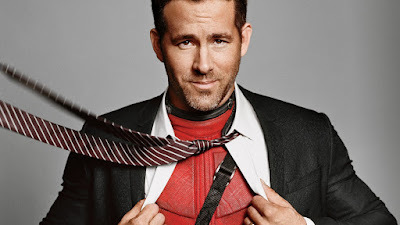 The film was developed by Skydance from a script by Deadpool screenwriters Paul Wernick and Rhett Reese. It's being described as a high testosterone mission movie. Bay and Skydance had previously announced in March their intentions to make the film, with Skydance’s David Ellison, Dana Goldberg, and Don Granger producing along with Bay. Netflix continues to flex its original movie muscles as of late. They made one of the biggest deals in the Cannes market with a $30 million deal for the animated film Next Gen, they have the Steven Soderbergh directed drama The Laundromat, and the First Ladies starring Jennifer Aniston and Tig Notaro. Its first franchise film was Bright starring Will Smith and Joel Edgerton, which is currently getting a sequel.